I love garlic and cannot cook without it. In fact, there is hardly a recipe on this blog that doesn’t involve garlic in some shape or form. 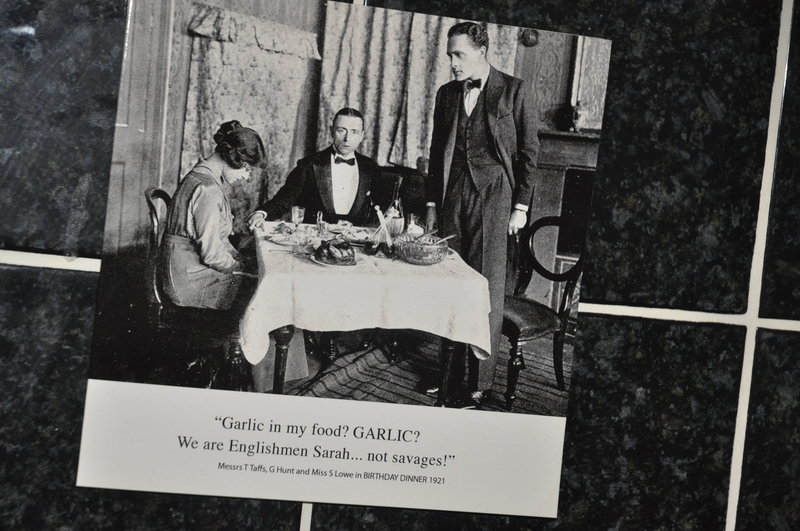 To further illustrate this point, my cousin actually gave me this card for my birthday last year, which occupies a proud place on our kitchen wall. My flatmate’s family discovered this rustic soup in the Périgord region of France, where geese and garlic abound and pretensions and pompousness are set aside. A staple in Périgordine cuisine, ‘Tourain Blanchi à Ail’ is an inexpensive, warming and delicious soup. It was the perfect second course after our wonderful canapés of rillette and foie gras, and very simple to make. With this soup, it’s important to use chicken stock cubes or powder rather than home-made stock or fancy supermarket stock. Otherwise, you’ll run the risk of it tasting too much like chicken soup and not enough like garlic soup (and that would be a travesty…). Also, due to the egg mixture in the soup, it must be served and eaten immediately – which presented no problem amongst us foodies! The best thing about this soup is what happens last. 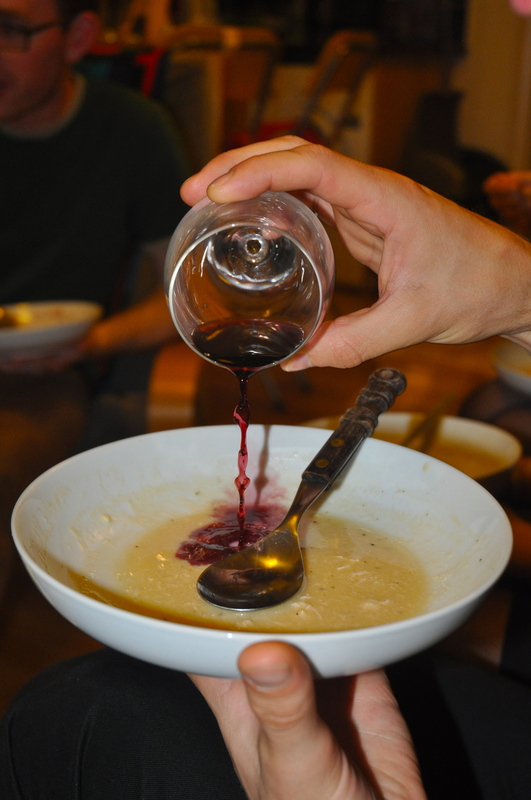 My flatmate learned that sometimes les périgourdins add red wine to the last of their soup, changing the flavour entirely and stretching their portion. So pour a little bit of red wine from your glass into those dregs and then eat the rest of the soup either with your spoon or just straight out of the bowl. Separate the eggs, put the yolks in a soup tureen, and reserve the egg whites. Add the vinegar to the soup tureen and whisk together. 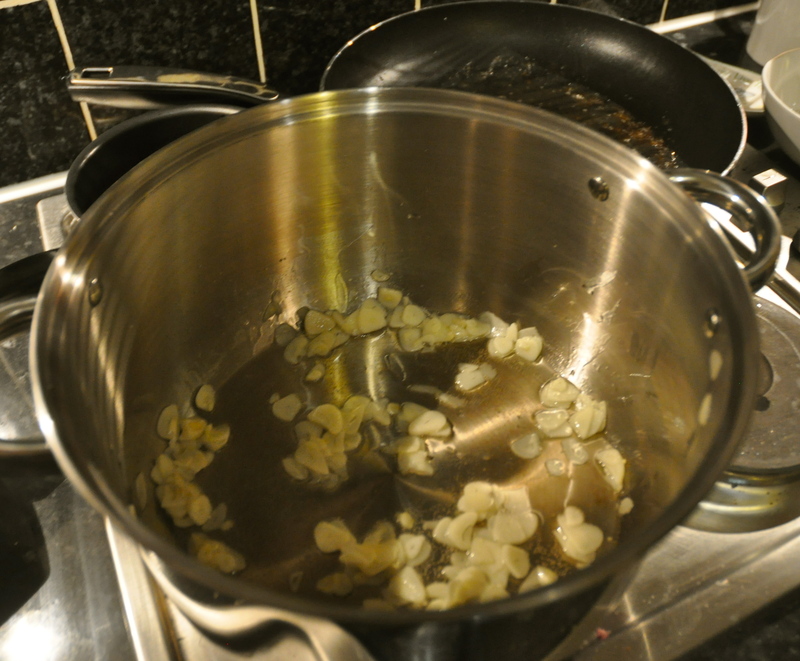 Melt the goose fat in a large pot and add the sliced garlic. Fry it gently in order to soften it and make it golden, but make sure it doesn’t brown too much. Add the flour and mix thoroughly. Then add the chicken broth and let cook for a few minutes. Add the salt and pepper to taste. Then, the ultimate trick: Slowly whisk in the egg whites. Pour the garlic/broth mixture into the soup tureen and blend. Serve immediately and top off with some freshly ground black pepper. 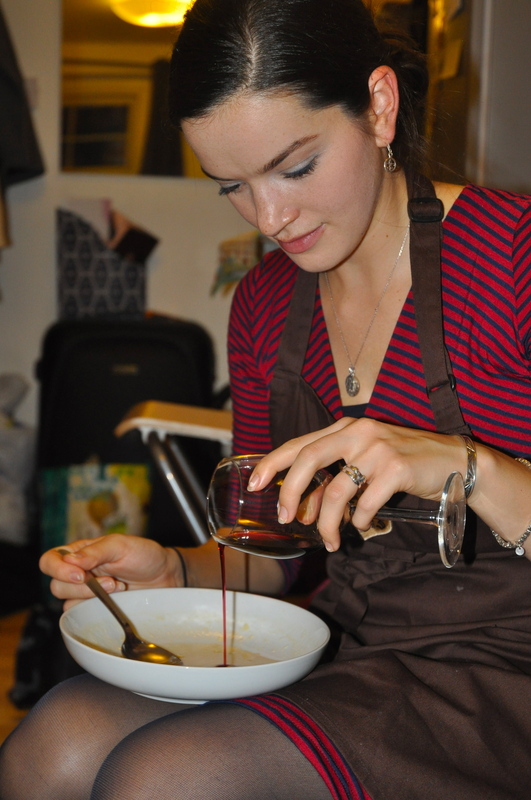 When the bowl is nearly empty, pour in a bit of wine and drink the mixture.